The car is packed, the kids are strapped and a whole mess of outdoor goodness awaits us. So excited for you guys! Enjoy! I totally want to copy cat this vacation. Can't wait to see pictures. Josh, I have been a quiet reader of your blog since you and Kari lost your Margot (I am a long-time friend and high school chum of your SIL Heather). My husband and I lived in Eureka, CA for a year back in 2006-07. It was a magical and life-learning year and journey for us. The Lost Coast is a lovely place. Have a wonderful time! Be sure to take some Dramamine if you decide to drive the Mattole Road: lots of beauty but very twisty. Also, if you have some time, try to get some hiking in at Patrick's Point and spend some time in Trinidad. It was our favorite place to visit and hike on sunny days. Oh wow, looks amazing. Would be so cool for our families to get together to embark on this awesome trip. Have fun guys, stay safe. Thanks for stopping by and for the wonderful recommendations! We will be sure to check some of these places out. I have been dreaming of the Lost Coast ever since I heard it existed. I bet it was nice to live there! That would be awesome. :) If A could handle S trying to boss him around we would be all good. 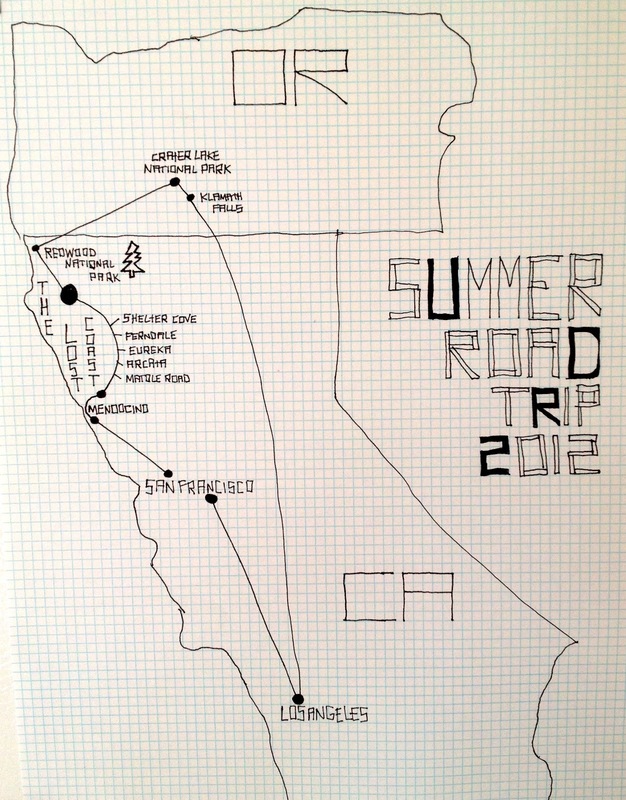 I love a good road trip, and this one looks good. Really really good. I can't wait to see photos and hear more about your travels. Have fun!